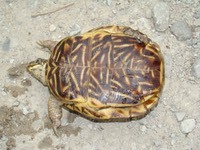 Subspecies: Only the Plains Box Turtle, Terrapene ornata ornata, occurs within Louisiana. Louisiana Range:��Extreme southwestern Louisiana Parishes of Cameron and Calcasieu. Global Conservation Status:� Ornate Box Turtles are listed as Near Threatened by the�IUCN Red List. 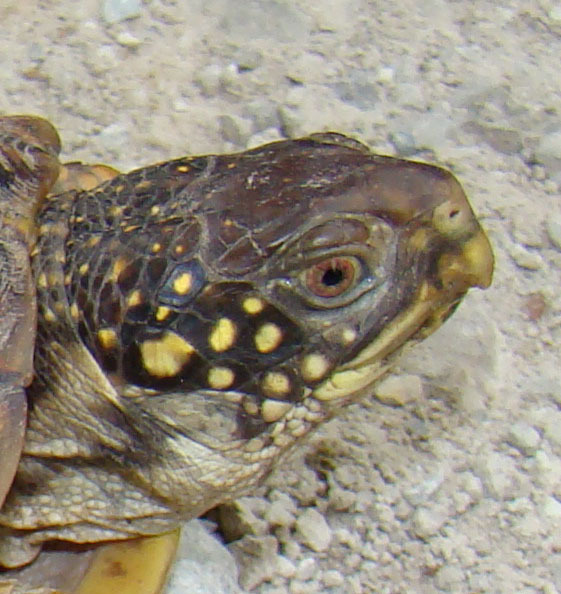 Their NatureServe Global Conservation Status Rank is G5 (Secure). 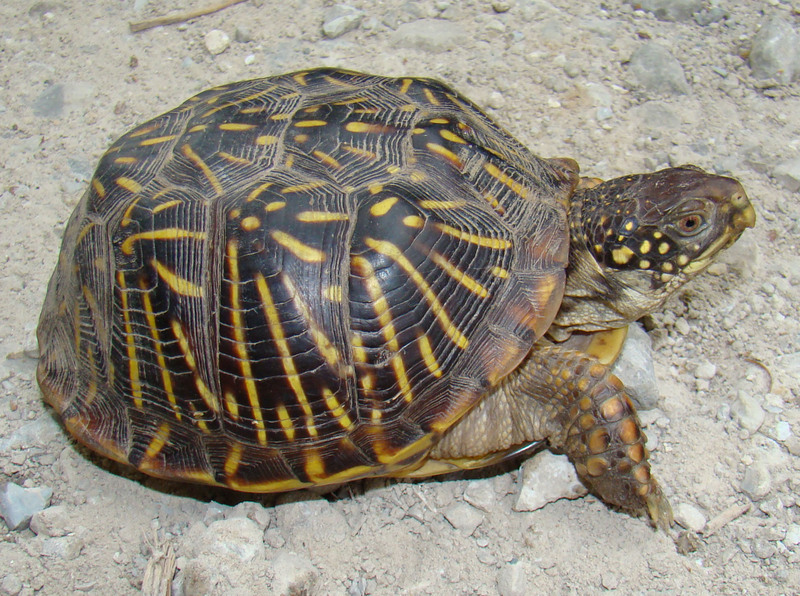 Louisiana Conservation Status: �Ornate Box Turtles�have a ranking of S1 (critically imperiled because of extreme rarity – 5 or fewer known extant populations) in Louisiana. 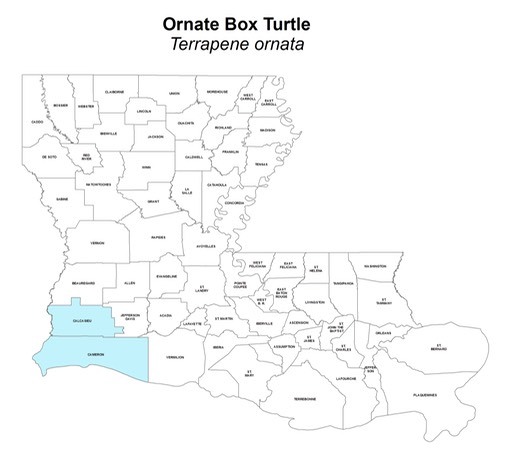 Additionally, they�are a ‘restricted harvest’ species in Louisiana, where, with a proper license, they may be taken, but take is limited to two box turtles per day, and possession is limited to four box turtles of the genus�Terrapene�at any time. 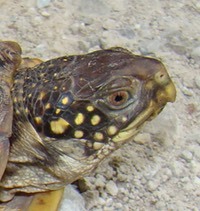 Author's Remarks:�I have never observed this species in the state, but have rarely herped in the extreme southwest portion of the state where they are known.